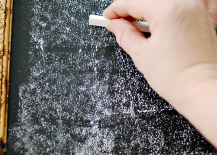 Perhaps it speaks to the increasingly ephemeral nature of how we communicate these days or maybe it’s just because it looks cool, but the chalkboard trend is still going strong. 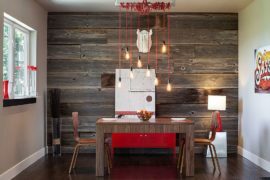 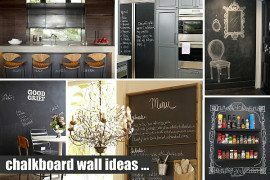 You’ve probably seen chalkboards everywhere, from restaurants to stores to people’s homes, but we especially love that there are other ways to incorporate the popular finish besides just popping a blackboard on your wall. 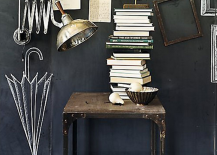 Read on for some of our favorite unexpected and alternative ways to use chalkboard surfaces. 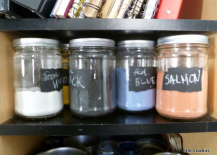 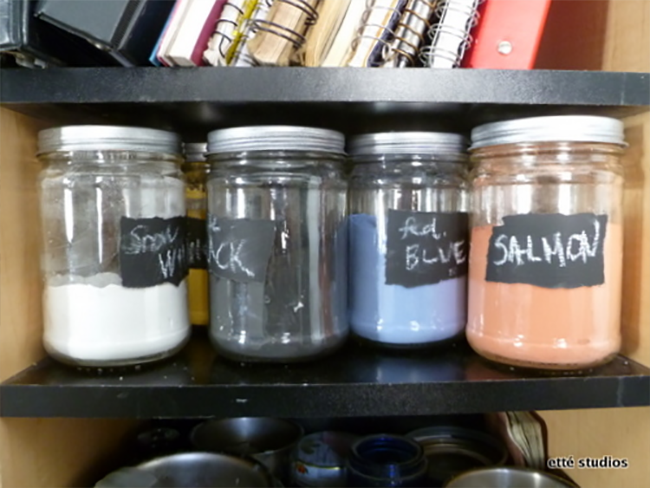 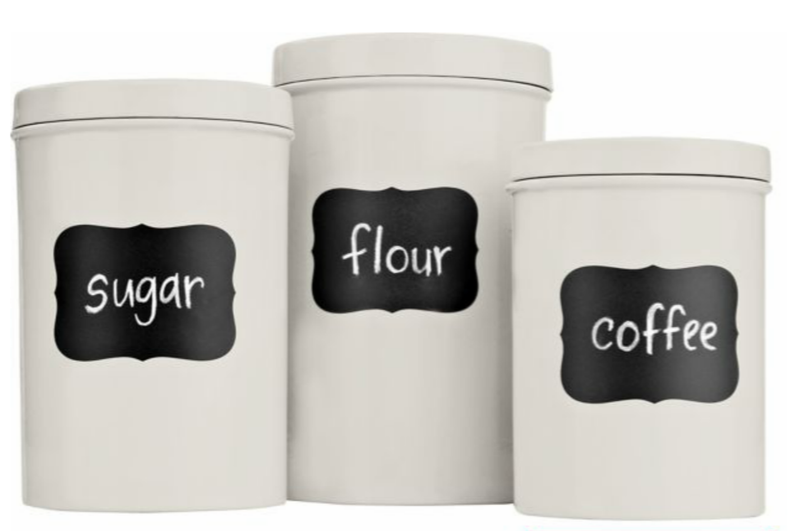 Sticky labels are functional enough, but there’s something so much more satisfying about these chalkboard storage jars that let you erase and rewrite the names of the contents each time you swap them out. 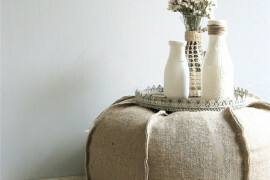 Learn how to make them here at ettestudios.com. 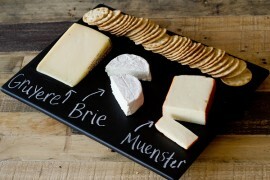 You can also achieve a similar look the lazy way by using these adhesive chalkboard labels by Martha Stewart. 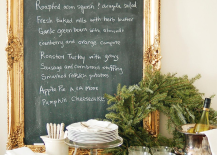 Frame your Recipes & Views! 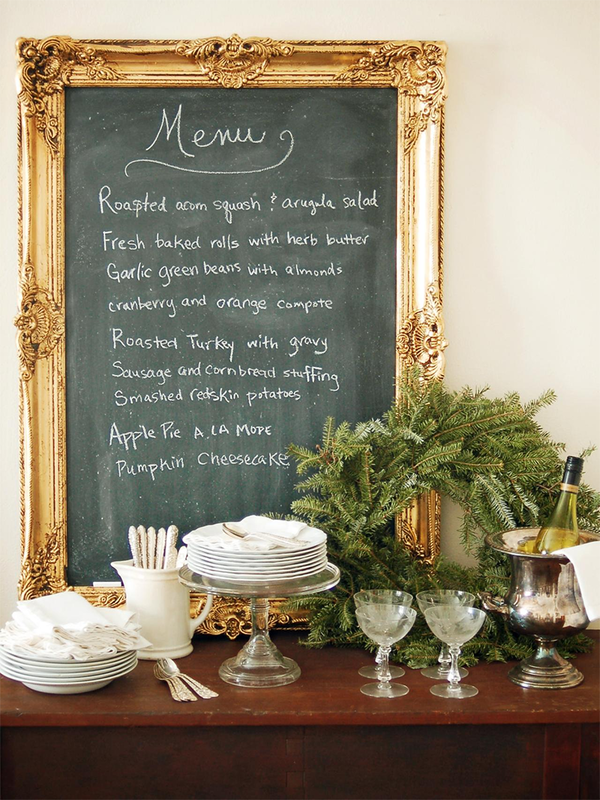 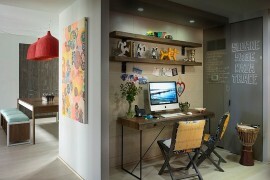 Chalkboard frames can be found at trendy restaurants all over the world, and they’d look just as cool in your home. 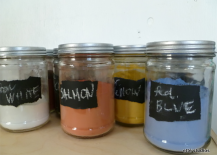 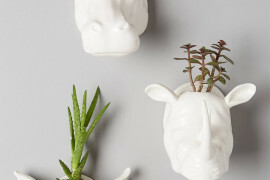 You’ll see versions selling on Etsy for upwards of $80, but why not save some cash and make your own by upcycling an old frame following Marion Parsons’ DIY on HGTV.com? 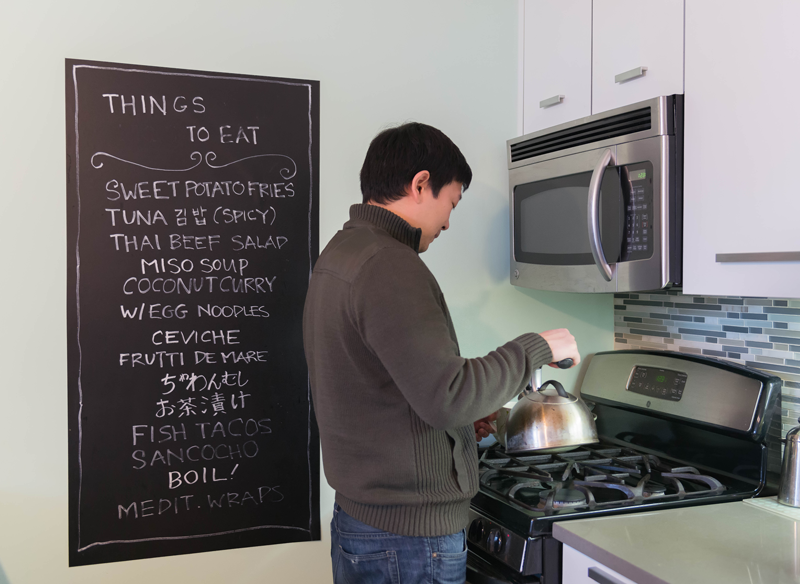 Having a gigantic chalkboard in the kitchen is a wonderful way to announce the night’s menu or keep everyone up-to-date about important matters. 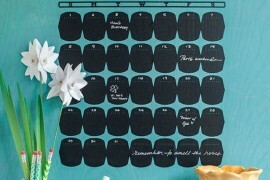 Laura of The Turquiose Home took it one step further by using magnetic primer to create a memo board where you can also pin up coupons, photos and notes. 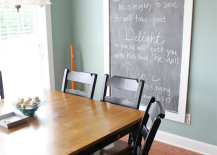 If you’d love to paint one of your walls with chalkboard paint but are worried that your landlord won’t take too kindly to the idea, chalkboard decals are a great alternative. 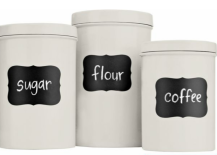 They come in all sorts of shapes and sizes (you can also cut them down to whatever size you need), and peel right off without a trace when you need to vacate the premises. 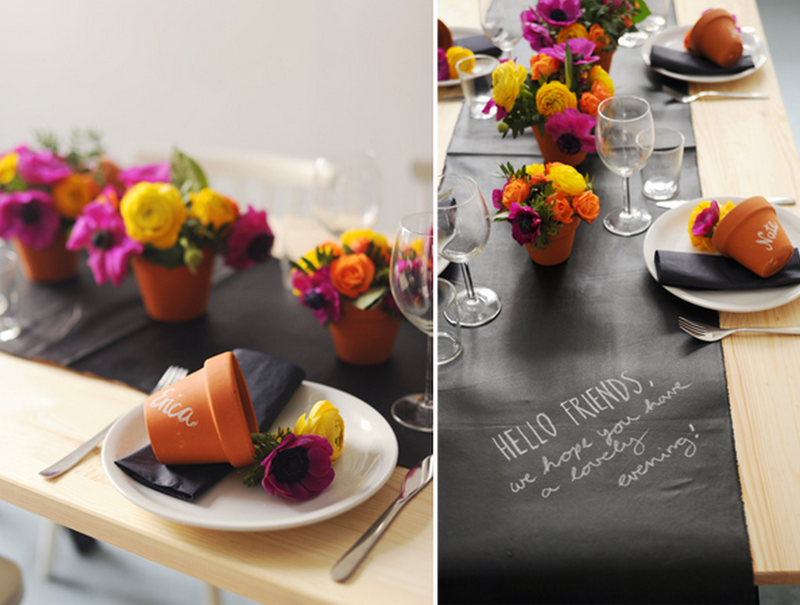 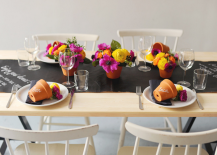 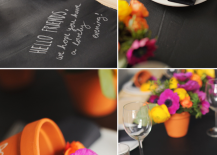 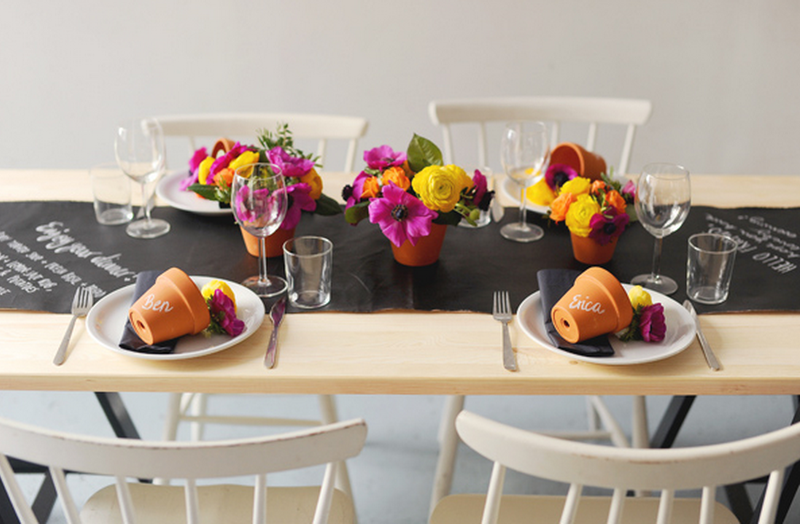 For your next dinner party, why not let your table setting speak for itself by making a charming chalkboard table runner? To create the conversation-starting runner, the ingenious folks at Hey Look simply used a piece of oilcloth and some blackboard paint. 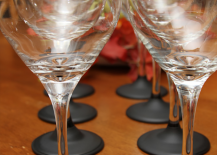 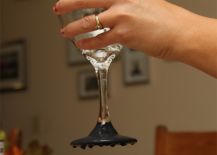 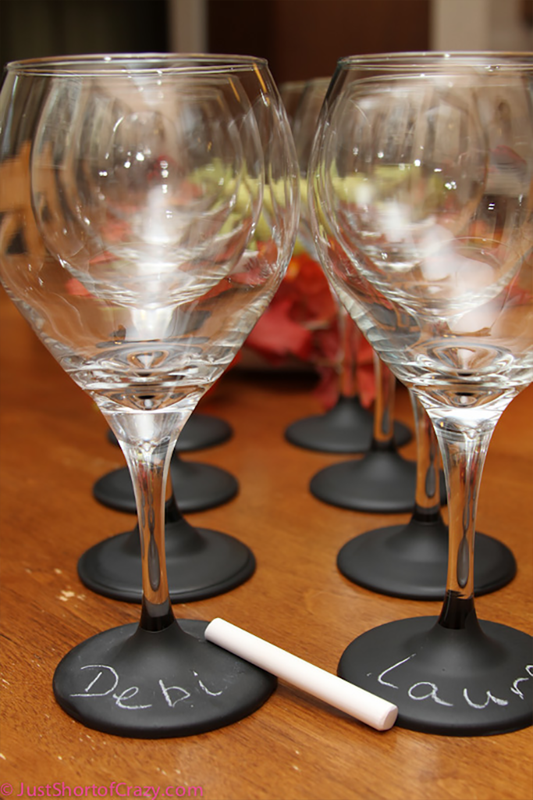 Your friends will never mix up their wine glasses again if you hook them up with these handy chalkboard stems when they come over. 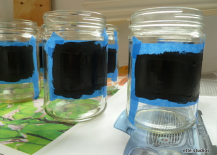 Just Short of Crazy breaks down the process of making them here in an easy step-by-step tutorial. 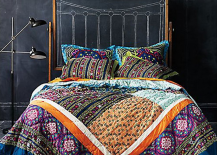 Imagine being able to change your headboard design every single day? 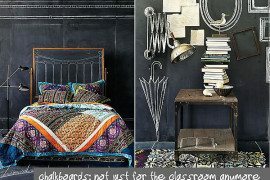 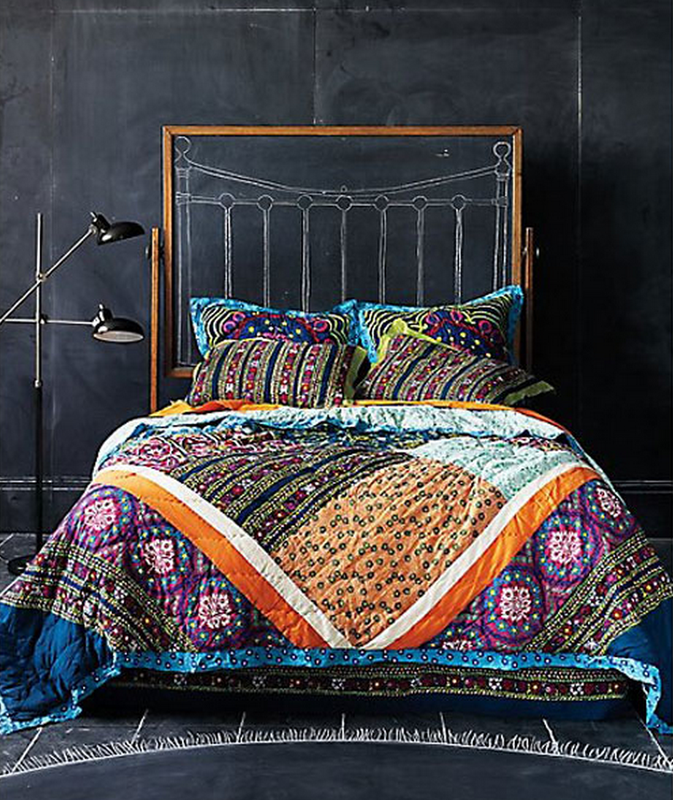 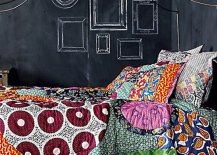 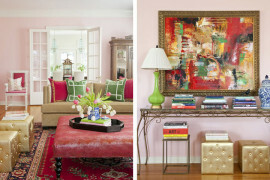 You could if you took a cue from Anthropologie and painted a chalkboard wall behind your bed. 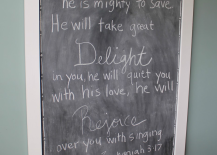 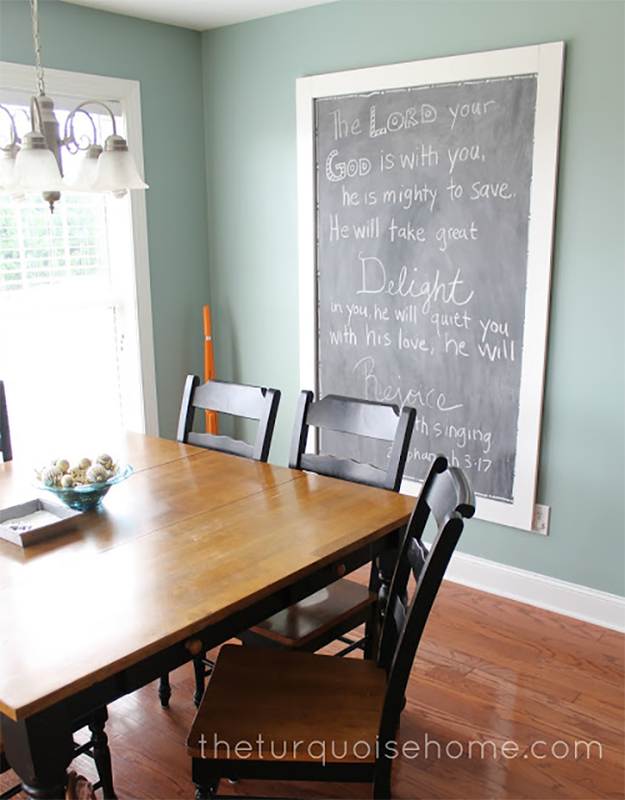 Are there any chalkboard surfaces in your home? 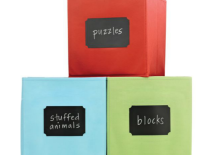 Tell us about them in the comments below!